I rambled about Granite Mountain this weekend. 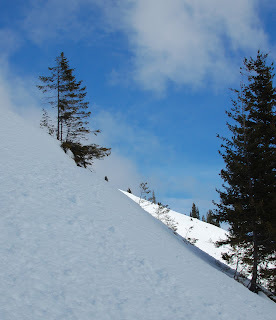 It was the first bit of serious terrain on my new snowshoes, and I learned quite a bit about their capabilities. There was a geocache marked a bit off the trail, but it will have to wait for summer. The deep snow made it impossible to locate.